Geomancy, or "divining by means of the earth," was originally carried out by making marks in the dirt with a divining stick and then determining the geomantic symbols from these marks. It's based on the idea that our movement is influenced by the energies in circulation within and around us. 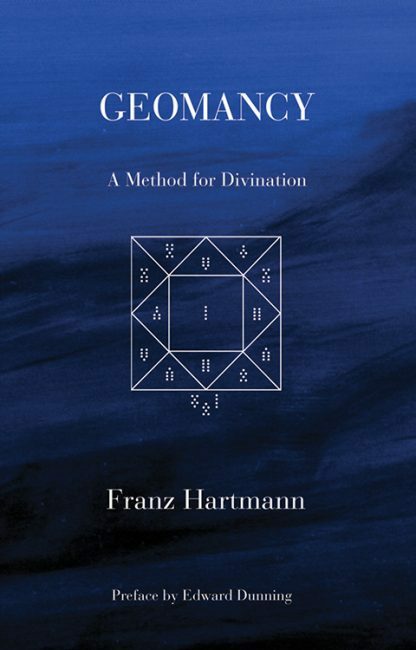 This book explains the modern method of geomancy using just a writing tool and a piece of paper to obtain incredibly in-depth information. There are 16 geomantic symbols that correspond to planetary energies and zodiacal signs. The book explains the symbols, how to compile them, and how to read them. The three geomancy methods described herein are very simple but provide different levels of information. Included are 2,048 answers to 16 common questions and blank geomantic charts that you can photocopy to use for your divinations.